Experience the buzz and atmosphere of the court room in our specialist chambers located inside Hendon Town Hall. This makes the council chambers the perfect venue for holding moots or “mock court” sessions where you’ll experience what it’s like to argue a case in a real courtroom. Mooting describes the simulation of court procedures, typically an appeal against a final decision. It is "mock court" where students are given a problem to analyse, and then conduct research to prepare written and oral arguments. There are usually two grounds of appeal argued by each side. What happens during "mock court"
Mock court is a simulation of actual court proceedings. Typically, the judge enters, the mooters and judge bow, the clerk announces the matter, and the mooters make their presentation. After this, the judge will ask questions, and the court will adjourn. The judge then returns to deliver the judgement and feedback. 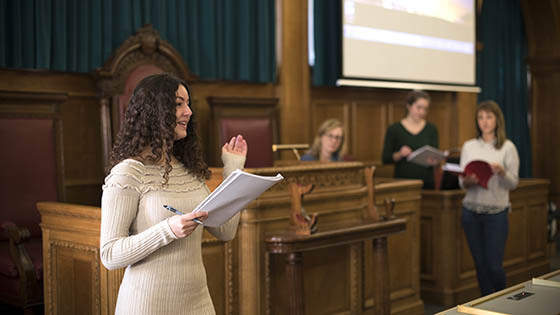 Mooting is an essential experience that enables students to practice and develop skills in persuasion, advocacy, argument, and interpretation of legal principles, as well as get used to the court environment and procedures. During your time at Middlesex you'll have amazing opportunities to study abroad through schemes like Erasmus+ or at our international campuses in Dubai, Mauritius and Malta. 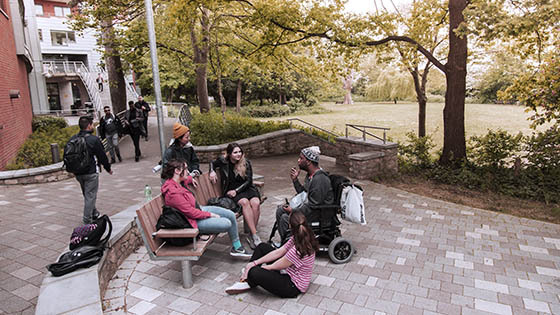 While studying abroad you'll have access to excellent facilities, as well as benefiting from the experience of living and learning in another country. Find out more about studying or doing a work placement abroad.